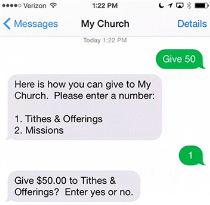 Looking to get more donations? You may have noticed it’s become tougher than it used to be. The problem that many organizations are facing these days is that people are leading much busier lives than they ever used to, so capturing their attention and keeping it is more difficult than ever. Not to be discouraged, the most successful organizations are using new tactics to keep the donations pouring in and they’ve proven to be more effective than ever. In fact, overall charitable giving in the US actually increased 2.7% in the last year. To help you grab the attention of today’s donors and keep it, here is a list of 18 ways the most successful organizations are doing it. There’s an idea in this list for any type of organization to implement right away, so best of luck with raising funds! Email campaigns can be a powerful tool for lead capture, conversion, and relationship building. When creating your email campaign, make sure that your emails are mobile friendly, since 56% of emails are viewed from a mobile phone or tablet. If you’re a Wild Apricot customer, all our email and newsletter templates are automatically mobile friendly so you don’t have to worry about this. The easiest way to reach a donor on the go is to send them a text, since people check their phones on average 85 times per day. If you have a contact database, you likely have the phone numbers of all your contacts, so it can be easy for you to ask for a donation by text. Txt2give, which has helped nonprofits raise over 25 million dollars, is one software provider that can easily send a donation campaign to all your contacts at once so you can start receiving donations right away. A positive thing about snail mail volume decreasing by 30% in the last 10 years is that there’s less competition for someone’s attention in their mailbox. This means that a personalized donation letter has a better chance of standing out when people sort through their letters. In fact, an expected 5%-15% of your past donors will send you a donation back if you send them a request in the mail. With over one billion users on Facebook, it’s one platform that you don’t want to overlook, but it can be tough to cut through the clutter. But, a little creativity can go a long way. One great example comes from Free the Children, who partnered with sponsors who agreed to donate $1 for every new like on their page. In the end, they were able to fundraise over $2.4 million! Another route to cut through the clutter is to use Facebook’s advertising tools which can make sure your donation request shows up in people’s feeds. To help you out, we’ve created a free webinar course on how to build a Facebook Ad campaign for nonprofits. LinkedIn is a great place for building your network with other nonprofit professionals, volunteers and — yes — donors. Check out their nonprofit portal for tips on how to use LinkedIn to increase donations and find donors. Your blog is a great place to attract new donors and keep current donors updated on your campaign. To keep momentum going throughout your campaign, write multiple blog posts about your initiatives from different angles to attract a wider audience — create infographics, videos, use compelling images, and tug on their heartstrings. If you’re just starting out with your blog, we’ve got a great guide on how to build a blog from scratch. A good press release is your “in” to get your campaign noticed by news media channels. Here’s the story of how one start-up’s press release went viral and gained over 10,000 media mentions. These days, the internet has made it much easier to gain widespread distribution for your press release online. To help get you started, here is a list of the best free press release distribution services that can help drive some traffic to your donation page. If you’re going the press release route for the first time, you’ll definitely want to read these tips from 15 journalists on writing an effective press release before you put pen to paper (or fingers to keyboard). Crowdfunding is a great way to tell your nonprofit’s story to raise money. While crowdfunding first gained notoriety as a fundraising method for individuals and businesses, it has since evolved to be an excellent online fundraising option for nonprofits. The benefits are three-fold: low costs and high ROI potential, user-friendly software, and ample opportunities for exposure that lead to higher rates of new donor acquisition. Plus, as fundraising experts, nonprofits are uniquely positioned to take full advantage of the crowdfunding system, whereas there’s a steeper learning curve for individual users. There’s no shortage of crowdfunding platforms available to interested nonprofits. In the U.S. alone, there are 191 crowdfunding platforms. So, if you choose the crowdfunding path, make sure to review the top crowdfunding websites and pick the platform best suited to helping your team raise funds for your cause. Psst: crowdfunding is just one type of fundraising event, if you’re looking for some help in choosing the best type of event for your organization, Fundraising Fox has some great advice in their post, Finding the Best Fundraiser. By offering digital incentives for individual donors (badges, education, etc.) you are giving people a reason — beyond philanthropy — to help you out. Think about what type of additional incentives you can create that will entice potential donors to give more to your cause. To give you some ideas, scroll through some of the rewards for projects on Kickstarter. As an example if a donor gives $10 or more, you can give them a branded mug. Donate $100 or more, give them a branded t-shirt. Donate $1,000 or more, give them a personal chat with the president of your organization. You get the idea, get creative! Much like digital incentives entice individual sponsors, you can offer media incentives to entice corporate sponsors. This approach is very common for many organizations. Examples of media incentives are things like ad space on your website, a sponsored message at your annual conference, or a promoted sponsor post on your blog. Depending on your niche, you can elaborate on media incentives any way you like. With recurring monthly donations, you only have to ask a donor to donate once and their credit card is charged automatically every month afterwards. No more hounding your donors with letters in the mail, or phone calls. As Abby Jarvis of Qgiv indicates, recurring donations can raise more money, provide a more reliable cash flow, and make budgeting easier. If you’re looking to setup recurring donations, Wild Apricot’s all-in-one membership management software can help you do this, but there are also donation-specific softwares, like GivingFuel, that specialize in this area too. At the end of every event registration form, ask for a donation. This way, you never miss an opportunity to raise funds. People are more willing to donate to your organization when they’re already paying for something else. That’s why a cashier will ask you to donate to a charity when you have your wallet out to pay for your groceries. With this strategy, America’s top 77 checkout campaigns raised $388 million in 2014. Just like cashiers asking for donations, you can use your event registration forms to ask for donations too. Monitor Google Trends, Facebook Trending (a box in the upper right hand corner of your Facebook Feed), and Twitter’s Trending Hashtags. When you see something relevant to your campaigns, ride that wave by contributing to the conversation on social media. 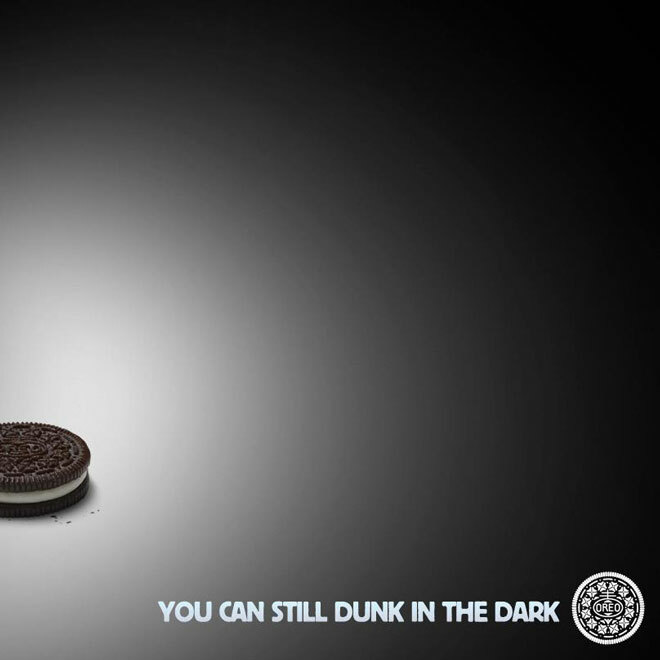 You may remember the massive media exposure Oreo got for it’s trend-riding ad when the power went out during Superbowl XLVII. Riding trend waves is an excellent way to get in front of viewers. If you’re posting on Facebook, one or two posts a day will do, but on Twitter, you may have to post multiple times a day with the same hashtag to ensure that your posts are visible. Relevant images can boost views of your posts by 94%. And the best images to use to increase donations are emotionally compelling ones. Take a look at the image examples below. Which one do you think is the most attention-grabbing for someone trying to raise money to help save a manatee? Both images are well structured and, frankly, pretty dramatic. But, the correct answer is “A.” Why? Because the first image instills a sense of guilt or dread. Why is that beautiful animal in an aquarium? How are the water conditions? Using images that evoke emotions can trigger a donation. Save images like B for your website homepage. If you’re planning on posting your donation campaign to social media, make sure to check out this guide from Venngage with tips for optimizing images for different social media platforms like Facebook or Twitter. Just as images can be used to evoke an emotional response to give, so can colors. In fact, 85% of shoppers indicate that colour is a primary factor when considering a purchase. So, make sure you’re using appropriate colors in your newsletters, images, and page layouts to help make your donation message stronger to entice people to help you with your cause. Here is a simple and useful study on color psychology to use to your full advantage. For instance, red indicated courage, strength and excitement, whereas blue indicates communication, calmness, and trust. Creating a strong brand has been proven to increase sales, word of mouth, and social media advocacy. So, make sure that your donation advertisements and pages are aligned with your professional brand by using your brand fonts, logo, and wording. Most nonprofits employ a social media strategy to go alongside their donation campaign. But, posting every day can take a lot of time away from other areas of your campaign. That’s why social media scheduling tools like Hootsuite exist. With Hootsuite, you can schedule all your social media posts (Twitter, LinkedIn, Facebook) well in advance. And if you’re looking for other ways to automate your social media campaign, here’s a list of 12 other free, or cheap social media tools for nonprofits. Nothing speaks louder to a person than their own name, whatever communication tool you’re employing, so use it. One study found that personalizing your marketing can actually increase online sales by 25%. And another study found that email open rates go up 29% when personalized. So why not do this for your donation marketing as well? The simplest way to do this is to personalize your emails and letters by including your potential donor’s name and how much they donated last time (if applicable). It’s my hope that you’re able to find one or two ideas on how to get donations and apply them to your nonprofit. Best of luck!